wow izzy, this card is so amazing and the stitching is just awesome! i can see why they featured this card because it is truly awesome!! I always love to see your quilt-like stitching. It adds such a nice cozy feel to your projects. 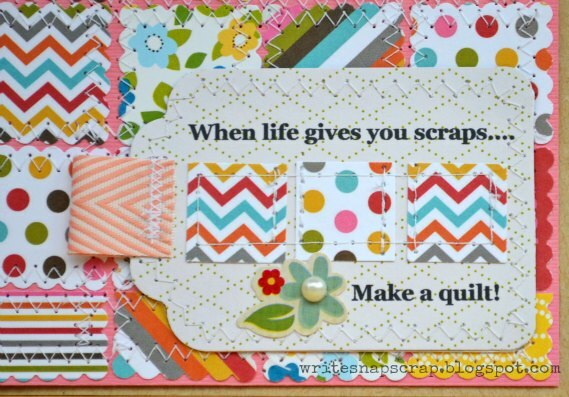 I love the quilt block design and as always, you have the perfect sentiment. :) Congrats on the feature! Goodness! I thought this was a wonderful cover of an album but a card?! WOW~!! LOVE the design of it - just BEAUTIFUL~!! Really wonderful! 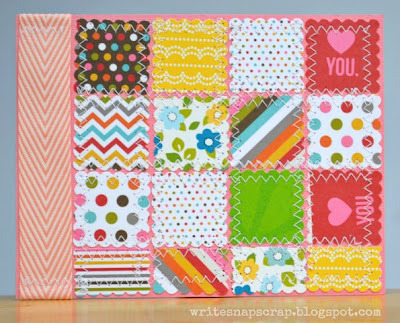 I always assumed that if you didn't have a perfectly square area you couldn't do a quilt card because all of the squares wouldn't fit. It didn't occur to me to TRIM some of the squares (yeah I'm still trying to teach myself to think OUT of the box. I blame my sewing experience!). SO thanks to you I am going to try one with my scraps! THANKS! Oh I LOVE this...the colors...the stitching...the sentiment. Love this card. 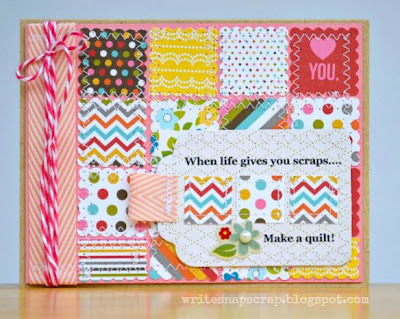 So cute and a great idea on using scraps. love the quilting and the stitching! That is adorable! Stitching really transforms the scraps. Wonderful card. I am amazed how you stitched those squares...my stitches look terrible when I turn corners (and I know to leave the needle in). Congratulations on being a featured project at 2P's! 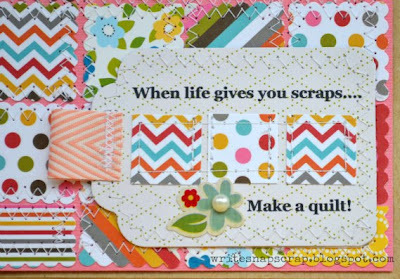 I love quilt cards. Yours is very pretty. Wonderful combo of pattern and color. So colorful! 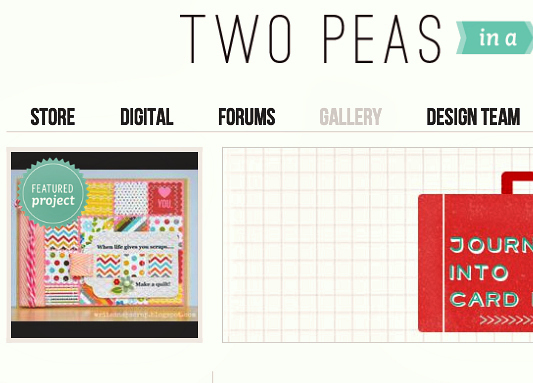 That's exciting being featured on 2peas! Congrats on having it featured at 2p's!! That's AWESOME!! I love love love love it! LOVING that sentiment and loveeeeeeeeee the quilt design!!! I need a squarish punch so bad!!!! Congrats on the feature! Great card & well deserved! I love this. Congrats on being featured, you totally deserve it. I am a scrap hoarder so I will have to try it out. Congrats on being the Featured Project! Love this card! My 6x6 paper pads usually end up a pile of loose scraps, too. Congrats on being the featured project! The card is adorable, so OF COURSE it was!!! I am so doing this!!! I'm pretty sure my scraps multiply when i'm not looking!